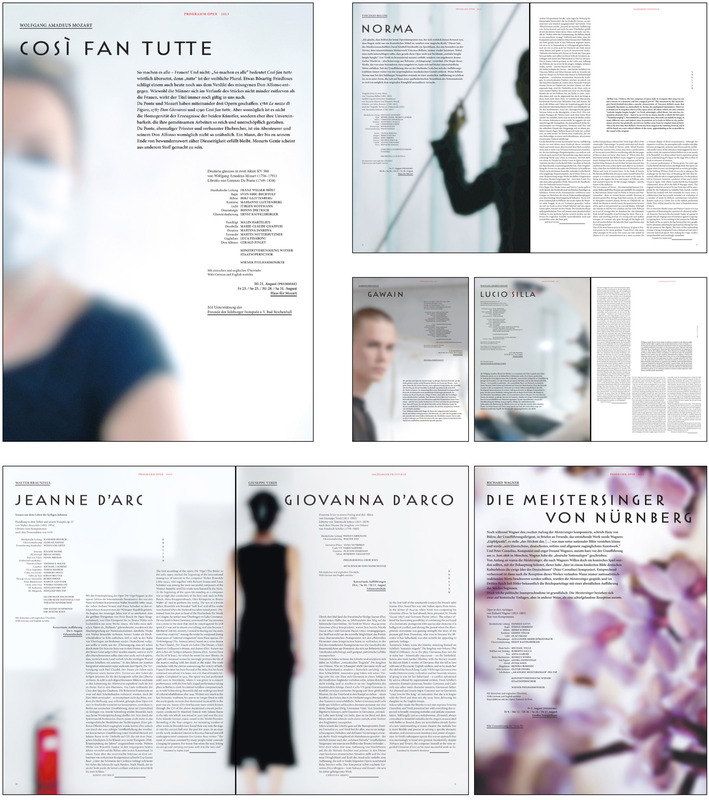 Eva Schlegel was invited to develop the art work accompanying the publications for the Salzburger Festspiele 2013. An overall concept was created and applied to create a unique visual appeareance for each opera, concert and play. The basic layout was setup together with the agency “circus” who implemented the artwork into their new created corporate identity. For the opening of the Salzburger Festspiele Eva Schlegel was also invited to show her works in an exhibition in the Mozarthaus accompanying Summer festival. She showed photography, did a spacial intervention in the entrance and chose to irritate the baroque surrounding of the Karl Boehm Saal with an Video installation on a 6m diameter disk. We provided technical consultancy and took over the production. A basic layout for the catalogue was also done and again implemented by “circus”.